Through a strong connection to the local Eden Prairie government as well as to our district and state officials, the chamber can offer you a direct route to getting involved with public policy. Learn how to get in touch or become active in advocating for your business. 227 State Office Building, 100 Rev. Dr. 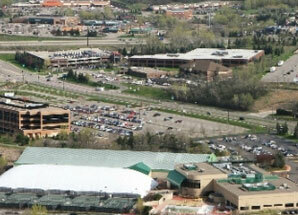 The Eden Prairie Chamber of Commerce is very active in local and state government. This committee exists for those members who are interested in the legislative, transportation and business advocacy issues that affect Eden Prairie and the surrounding areas. They discuss these issues and then help communicate positions to local metro and state officials. They also meet with and influence the people who are forming current policy and future legislation. This committee meets on the 2nd Tuesday of each month at 7:30 AM at the Chamber Office. If you are interested in joining this committee or getting more information, please contact Chamber President Pat MulQueeny at (952) 944-2830. BusinessConnection is your free, go-to service in Minnesota for any and all business questions. They exist to help businesses grow by breaking down barriers, opening doors and answering questions – so you can get back to running your business. BusinessConnection is an electronic business assistance and referral network operated by Grow Minnesota!, the Minnesota Chamber’s initiative focused on retaining and creating jobs. The service is launched statewide this week after a successful year-long pilot. BusinessConnection was developed jointly and is cosponsored with the Minnesota Department of Employment and Economic Development. The Minnesota Chamber of Commerce operates mymn.org, an ambitious, multi-year public engagement and issue advocacy effort to fundamentally change Minnesota’s public policy environment. Their research has shown that most Minnesotans and business leaders agree on the issues, they just don’t know it. We all talk a different language, and tend to speak up when the partisan volume is the highest. www.mymn.org offers a new approach better suited for the new economic and political climate. With a growing frustration of political partisanship and a sense that Minnesota is losing its edge, mymn.org will unite Minnesotans around a brand to build a better more competitive Minnesota. Join the conversation and share your views! Submit photos, videos and comments. You can also put the mymn.org link on their web or intranet sites. This is just the first tool in many that will begin to change the policy debate in Minnesota. The Minnesota Chamber invites your support, feedback, suggestions and participation. mymn.org will attract support by engaging Minnesotans in something they care deeply about, Minnesota and its future. We can only be successful in partnership with local chambers across the state.